The IcosiDodecahedron is an Archimedean solid that combines the best qualities of the Icosahedron (which represents water) and the Dodecahedron (which respresents spirit). 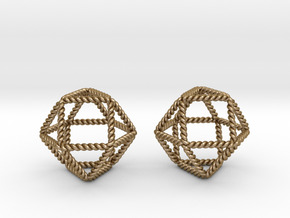 It has 32 faces, 20 of which are equilateral triangles and 12 of which are equilateral pentagons. 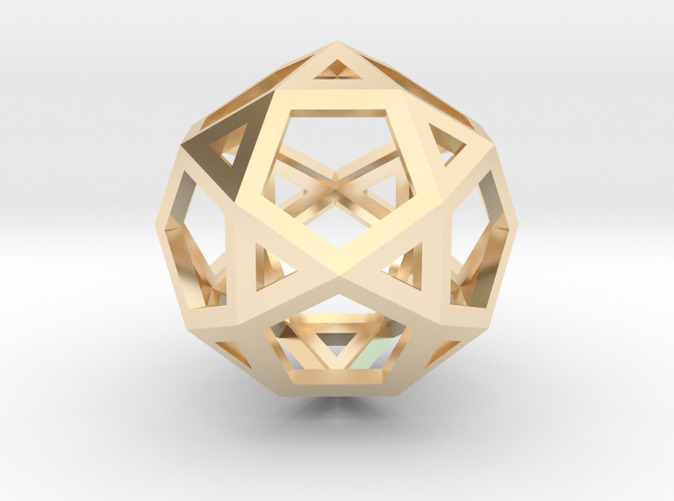 An IcosiDodecahedron can be constructed by combining 6 equilateral decagons (10 sided polygons). 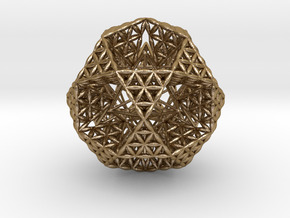 This shape has 30 identical vertices which all lie on the surface of the same sphere. 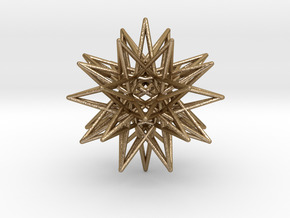 This 3D version of an IcosiDodecahedron has been created as per the 2D style popularized by Leonardo Davinci. 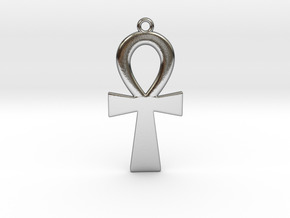 This shape assists in raising vibrations and potentiates an energetic alignment between spirit and water. The fact that our bodies are ~ 70% water, makes this is a very important and powerful ascension tool. Also available with a 30 pointed star inside.